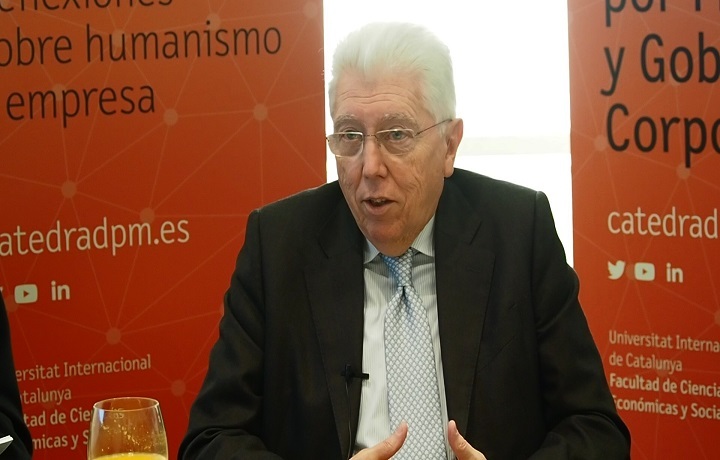 Josep Tàpies, full professor at the Chair of Family-Owned Business at IESE and ordinary professor in the Strategic Management Department at the same business school, shared his knowledge about personal missions in family businesses during the latest edition of Desayunos Cátedra. This event was held on 22 March and organised by the Chair for Management by Missions and Corporate Governance at UIC Barcelona. For this professor, family businesses make an essential contribution to the economy and provide long-term stability, as compared to businesses that are not run by families: “When a company owns risk capital, there is a specific outlook of between five and seven years and a specific profitability rate must be achieved”. Professor Tàpies stated that family businesses are strongly rooted in local communities and therefore, social conditioning is high. “Decisions are made in the same village where the facilities are located and where the owner lives” he reminded us. Josep Tàpies noted that the president of any family business must take good care of shareholders if they want the organisation to function correctly and avoid emotional problems between shareholders. Along these lines, he reminded attendees that “the idea of ownership pays a psychological role in family businesses. It is not enough for shareholders to simply hold the value of their shares but they also want to be taken into account, and this is an additional cost that the family business has to pay”. At the end of the Desayunos Cátedra event, attendees were able to exchange and share experiences on the topic being discussed. The aim of this activity, which is held periodically throughout the academic year, is to generate debates on topics related to humanism in business.